What are the best ways you can use lavender essential oil? I have a wonderful lavender bush in our backyard that gives off an amazing aroma. Now that we’re using essential oils, I can bring that wonderful smell inside my home. Not only does it smell good, it serves so many different purposes as well. It’s widely known for it’s calming and soothing properties. 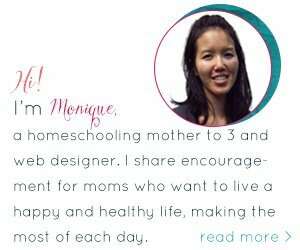 Are you an essential oils newbie? See >> What are essential oils? Where do they sell the best oils? Rocky Mountain Oils are my favorite place to grab them, they offer free shipping if you’re in the U.S. and they have a money back guarantee, how awesome is that? I’ve used oils from a popular MLM company and they were great, it’s what hooked our family onto oils, however, I understand that not everyone wants to buy a membership just to get oils. You should be free to buy as needed and that’s what I love about RMO. Their quality is just as good and I was able to find replacements for the everyday things that I needed. 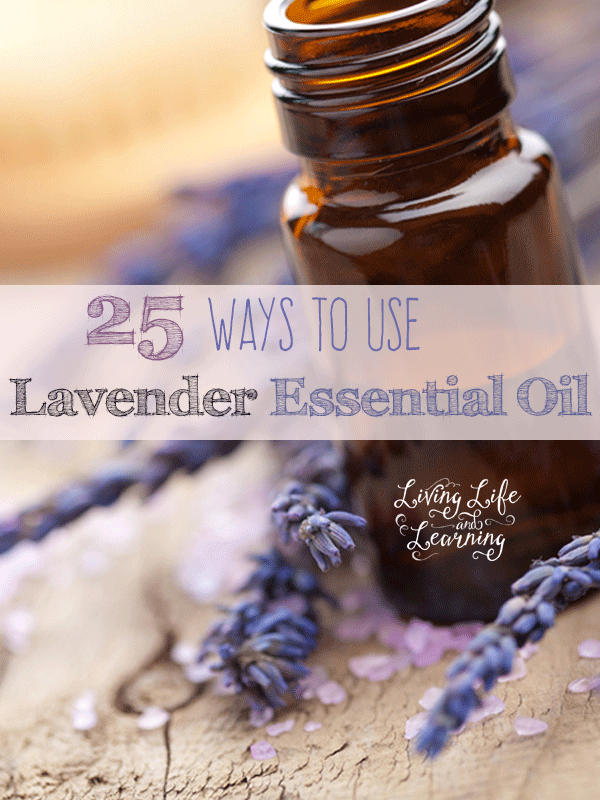 So many great uses for lavender oil!! I actually used some the other night – I had a headache and I hate taking painkillers, so I put a few drops of lavender essential oil on a hanky and put it on my pillow next to my head while I read a book, so I could smell it while I was reading. And it worked – by the time I went to sleep, my head was feeling a lot clearer! That’s a great way to help your headaches! What a great list of uses. We go through massive amounts of lavender essential oil at our house! We mostly diffuse it and dilute it to rub on our feet at night to help us fall asleep–all seven of my kids love it and settle down much better when we use it! We’ve also had great results rubbing a bit on sore tummies to help with mild stomach aches. Yes! I diffuse it every night as well, love it. We used lavender VERY successfully treat chicken pox. I applied a dab of neat lavender essential oil to each and every spot I could see morning and night from the moment they appeared until they were gone. It appeared to inhibit the development of the spots, itching was minimal, healing was rapid and there was no scarring. In addition, sleep was restful and undisturbed. HIGHLY recommended. That’s wonderful, so many great uses.